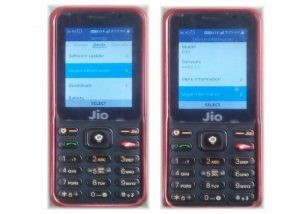 JioPhone mobile was launched in July 2017 and it was run by KaiOS 2.0. The phone comes with a 2.40-inch display with a resolution of 240 by 320 pixels. The JioPhone is powered by 1.2GHz dual-core SPRD 9820A/QC8905 processor and it comes with 512MB of RAM. The phone packs 4GB of internal storage that can be expanded up to 128GB via a microSD card. As far as the cameras are concerned, the Jio Phone packs a 2-megapixel primary camera on the rear and a 0.3-megapixel front shooter for selfies. 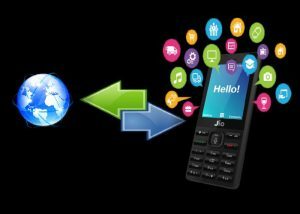 The JioPhone runs Kai OS and is powered by a 2000mAh removable battery. The Jio Phone is a single SIM slot (GSM) mobile that accepts a Nano-SIM. Connectivity options include Wi-Fi, GPS, Bluetooth, NFC, Headphones, FM and 4G (with support for Band 40 used by some LTE networks in India). The JioPhone also provide several different applications which a user can easily access and get a new experience. Now, Reliance Jio announced that the JioPhone sold nearly half of the feature phone market share, making it the best-selling feature phone in the India market. KaiOS Technologies has announced that its latest KaiOS 2.5 will be coming to smart feature-phones powered by Spreadtrum and Qualcomm’s newest chipsets at 2018. Reliance JioPhone is an upgrading operating system feature phone. 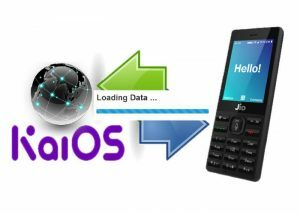 Then the kaiOS 2.5 updater file are provided by the company to remove any type of fault and make the performance of the JioPhone better again and again. If you are thinking to make JioPhone firmware update then you can easily update it and make it smarter and better. JioPhone also gets different updates which make its camera, setting or any of the activity better to use. After the updating of the JioPhone operating system update. 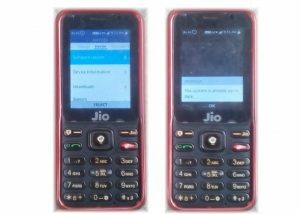 The JioPhone also provide new application install or update via JioStore app and new features interface, which a user can easily access and get a new experience like Google Map, WhatsApp, Facebook and Youtub available at the time. Press Menu Button and go to ‘Settings’. Now press the right key and select the ‘Device’ Tab. Now Move down and select the ‘LYF Software Update’. For making this process your device will be boot automatically. So, please don’t hesitate. After upgrading latest firmware you can also check – ‘Device Information’. 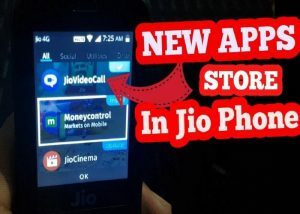 Press Menu button and go to ‘JioStore’ Application. Now you will see all application software. Then you choose any application open and now update. Wait couple of minutes for download and install. After update do reset your phone.